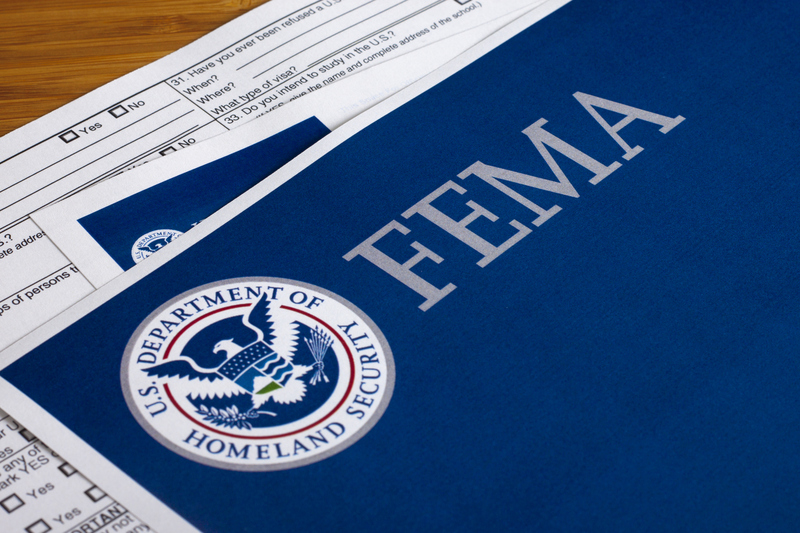 People often ask, just what is FEMA? The term stands for Federal Emergency Management Association. 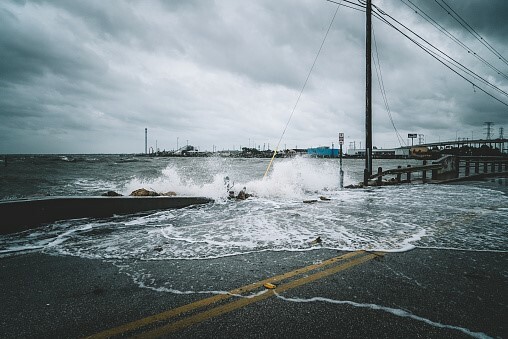 We at Neptune Flood Insurance want to help you understand what this government agency is and how they are involved in emergencies, such as hurricanes or flooding. The first response by Congress to known emergency legislation began in the year 1803, as the government extended the time for the remittance of payment for tariffs to merchants. This was after a devastating series of fires that affected the city of Portsmouth, New Hampshire. Considered by many as the first piece of Congressional legislation to provide disaster relief, other efforts were made after that time. The present agency began with two presidential orders in the year 1978. Its main purpose is the coordination of response to a United States disaster after it has occurred. These disasters often overwhelm state and local resources and help from the United States government is needed. State governments, through the order of the governor, must declare a state of emergency as well as ask the president that a federal response is given. On-the-ground disaster recovery support is a major part of FEMA’s work; the agency also provides knowledgeable experts in specialized fields as well as funding for the rebuilding efforts to state and local governments. Offering access to low-interest loans, the organization works with the Small Business Administration. Additionally, funds are given for the training of personnel for preparedness throughout the United States. FEMA was placed under the Department of Homeland Security in 2002, after the attacks on September 11, 2001. After the devastating floods from Hurricane Katrina in 2005, it became evident that the government was not giving as much attention to natural disasters, as testified by emergency management professionals. At that point, they felt that the nation needed preparedness and was more vulnerable to such natural events as hurricanes. Even with calls to separate the agency, today the Federal Emergency Management Agency is a very large agency and still a part of the Department of Homeland Security. What Assistance is Provided for Floods? FEMA grants may be provided to those who suffer severe damage to homes, vehicles or personal property from flooding. Assistance after the disaster may include grants to help pay for emergency home repairs and temporary housing as well as for uninsured and under-insured personal property losses. Disaster-related medical, dental and funeral expenses, as well as other serious disaster-related expenses, may also be eligible for assistance. 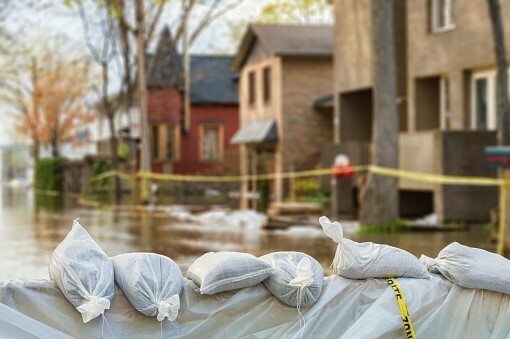 Helping to reduce the impact of flooding on public and private homes and businesses, this Federal Emergency Management Agency program offers affordable insurance. It prompts property owners, renters, and businesses by encouraging communities to adopt and enforce floodplain management regulations. Effects of flooding are mitigated on newer structure, and the economic and social impacts of a flood are lessened through the promotion of affordable insurance for flooding damage. At Neptune Flood, we can answer your questions regarding the insurance you may need to be fully prepared for an emergency. Because our nerds work tirelessly to provide solutions, you don’t have to. We are backed by Lloyds, one of the largest insurers in the world, and have great products to make the purchase of insurance simple and easy. Millions of Americans are now saving up to 25% off the cost of their insurance, due to the use of technology. Using satellites and LiDAR and IfSAR (light detection and remote sensing radar) technology, Neptune Flood creates maps to help with the identification of the true cost of buying insurance. Get a quote or browse our site to learn more about how you can be prepared. If you are in an area that is going to flood, you may have been told to evacuate. This could mean gathering up pets and belongings for a few days at the shelter. Preparing for the shelter as well as preparing your home with flooding insurance is a wise thing to do. Even if you intend to stay at a motel, roads may be blocked or they are filled up, which often happens when a disaster is pending. Staying with friends is another option, but if that is not possible, you have no choice other than to stay in a local shelter provided by the county or city. But how to survive the shelter? Here are some tips from Neptune Flood, gained from advice and experience. Note: Some advocates for pets suggest a two-week supply of food and medication. Be aware that many shelters do not allow a pet that is not in a crate or carrier. Often a shelter will have a separate room, one for dogs and one for cats; they will be staying in their crate or carrier most of the time. Dogs can be walked outside with a leash. Yes, you can visit with Rover or kitty while staying at the shelter. Those snacks or treats (for your pet) can help reduce the stress of being in a dorm of furry friends. As a guardian of your fur friend, you must be staying at the shelter as well; no drop-offs. In some shelters, you may be able to have your pet next to you during your stay. If possible, at least for a cat or small animal, have a carrier that has wheels, as it will save you some effort while waiting in lines to check in or coming from the parking lot. Here are some basic tips for your stay at the shelter. Pack light, since this is not a vacation or a cruise ship, just a lifeboat. You will have a small space, possibly 5 feet by 2 feet, that will be your home during the flood. Staying at a shelter requires courtesy; you may be among people that range from the rich genteel to those without a home. You will be dining with a group in a cafeteria or you can take food back to your “room”; you may even make some new friends. Being open to the experience, and having gratitude for the shelter, is making the best of the situation. You can bring some food that is non-perishable as well as snacks. Have reading materials and a computer tablet if you have one. Remember to bring your charging cords and phones plus extra batteries for flashlights. Some people even bring beach chairs, as they enjoy sitting and talking to others or just chilling-out, making the best of it. Flooding insurance will add peace-of-mind in case you ever have to stay at a shelter during a storm or flooding. We at Neptune Flood know that recovery from flooding can take a while; being prepared for floods as well as for a stay at a shelter will make for less stress when an evacuation is necessary. Flood Warning: Evacuate or Stay? If it’s been raining for several days and flooding is imminent, you will probably be asking if you should evacuate if a flood warning is given. Neptune Flood wants you to become aware of what your options are, should this troublesome event occur. Whether to leave or stay is best learned through knowing some simple facts. If you live in a sound structure, not a mobile home or RV, and are outside an evacuation area, stay at home. There are some simple things you can do to prepare for the storm or flooding. You can find out more about your flood risk by going to the FEMA service center page. You might also sign up for your community alert system; the Emergency Alert System (EAS) and National Oceanic and Atmospheric Administration (NOAA) Weather Radio will give emergency alerts. You may only need to go “tens of miles, not hundreds of miles” to escape the storm surge. Roads may be congested, so avoiding the highway is probably the best bet if you are leaving. Remember to bring supplies with you. If you are planning on staying in a hotel or motel, make sure that it is not in a flood zone! If you become trapped in your vehicle in flooded waters, go to the roof if water is entering the interior. Learn more about what you can do during a flood warning at the government website. Regardless of whether you stay or leave during a flood, a major point is to make sure that you have flood insurance before the disaster occurs. If you do have to leave your home in the event of flooding, you can have peace-of-mind, knowing that your home is covered. Neptune Flood can help you with affordable coverage that is backed by one of the largest insurance markets in the world. Using the latest technology, Neptune Flood brings the cost of flood insurance down to help every American homeowner. 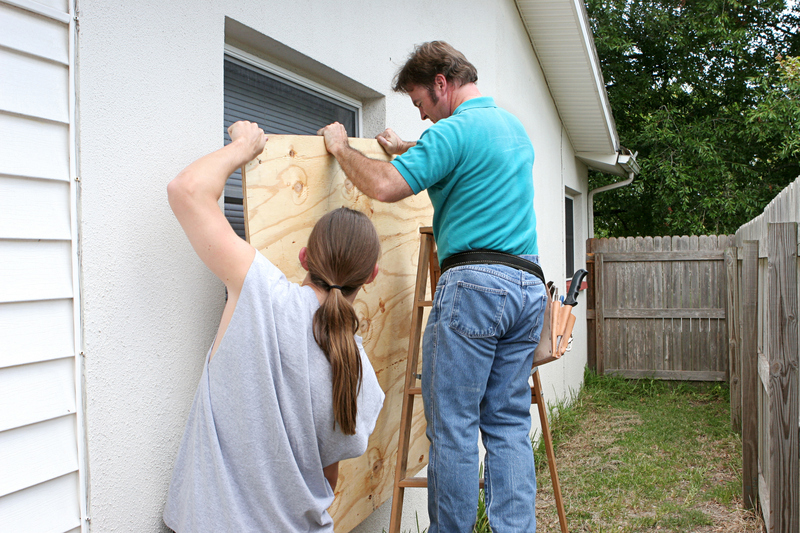 Knowing what to do after a flood can help make the recovery process a little easier. Even a small, local flood can be devastating for those involved. Yet, catastrophes tend to bring out the best in people as friends and neighbors help each other out. It doesn’t take a lot of water, sometimes as little as one or two inches, to severely damage your home and belongings. The deeper the water, the more structural damage, up to and including the roof. You’ll want to begin the cleanup as soon as possible, but don’t return until the authorities allow it. Notify your insurance agent as soon as possible to get information on submitting a claim and when you’ll be contacted by an adjuster. Find out what services are covered, such as professional cleanup and restoration. 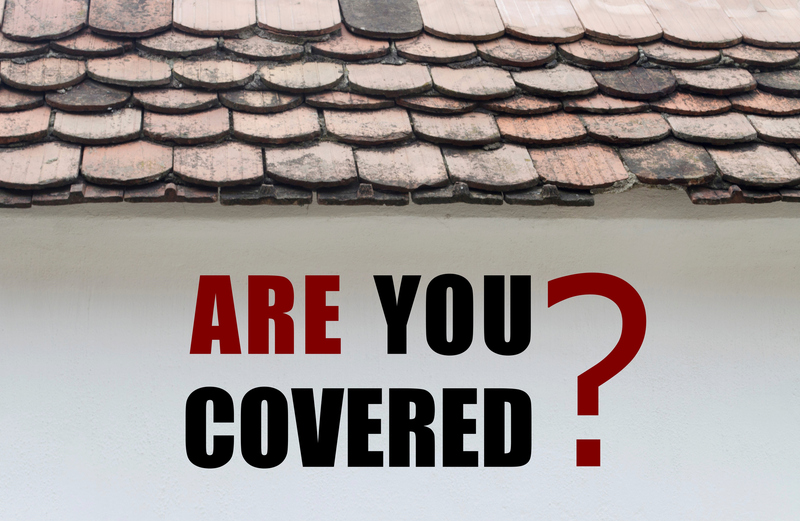 You’ll need a complete record of the damage for your insurance company, to apply for disaster assistance (find out if a disaster was officially declared for your area) and for a tax deduction. You’ll want to take pictures of the inside and outside of the building and damaged items before and during the cleanup. Digital pictures are best since they can be safely stored in the “cloud” and attached to your claim. When you’re resettled in your home, take pictures periodically as part of a home inventory. If you have a well, assume the water is contaminated until you have it checked by a well or pump contractor. Many people need professional help to restart and disinfect their wells, but EPA offers a good well how-to for do-it-yourselfers. If you have city water, it will be restored as soon as possible. Boil water until your water is declared safe. Most food left behind will be contaminated. Canned food should still be safe to eat, but don’t open the can until disinfecting the outside. Throw out damaged cans. Power will be out, so you’ll need flashlights. Bring as many batteries as you can. Use ONLY battery-powered lights to avoid igniting any flammable material. You’ll need a lot of heavy-duty cleaners and bleach. Wait until the authorities say it’s safe to return. Check for structural damage, including cracks in the foundation, walls, windows, and ceilings. Look for damaged water or sewer lines. Use extreme caution at all times. Wear sturdy boots or shoes – cut feet are among the most common injuries. Watch for snakes or other unfriendly wildlife. Even if the power lines are down, make sure that all power is turned off at the main circuit breaker as long as you can reach it without standing in water. Having the power unexpectedly come back on would be extremely dangerous – water and electricity are a deadly combination. Report any broken lines to the power company. Gas lines should be turned off at the main valve or meter tank. If you smell gas, leave immediately and call the gas company. There’s no way to sugarcoat the fact that cleanup is long and hard. A broken pipe in an upstairs bathroom can cause a lot of damage, but that’s nothing compared to what a rising river or terrible storm can do. First, get the OK from your insurer to begin the cleanup. Find out what resources are available to help you. Open all windows to air out the building – mold is already growing and you need fresh air. A non-ammonia or pine oil cleaner can be used to help control the growth of mold, followed by a bleach/water disinfectant. FEMA has more information on mold removal. Shovel out contaminated mud and then hose down surfaces. A sump pump and wet vac can help remove water. Water is heavy – a cubic foot weighs ten pounds. Every surface must be cleaned and disinfected. Scrub with a heavy-duty cleaner and then use a solution of 1/4 cup bleach to one gallon of water as a disinfectant. Look for anything that can’t be replaced, such as wedding photos and important documents, and try to dry to avoid further damage. Professional restoration can do a lot, but preserve what you can. Remove wet carpeting, bedding, drapes, and furniture etc. If it’s been wet less than two days, it might be salvageable. Again, take plenty of before and after photos and keep samples of discarded carpet, wallpaper, drapes and other items for the adjuster. Take photos of the water line on wallboard. Poke a hold in the wall at floor level to release any trapped water. Homeowners are responsible for preventing further damage as far as possible, such as boarding up windows or covering a leaking roof with a tarp. Take photos to show what you’ve done to protect your property from further damage. Neptune Flood offers the flood coverage you need that isn’t covered by your homeowner’s policy. You’ll benefit from: temporary living expenses, replacement costs for your furniture and other lost items, including basement contents, repair, and refill of your pool, detached structures and more. Because of Neptune’s advanced technology and insurance know-how, you’ll save money and receive higher coverage limits. Contact Neptune Flood today for a quote in three minutes. Safety during a flooding situation has to be your top priority. You’ll want to do all you can to protect your property, but things can always be replaced. Don’t jeopardize your own or your family’s safety by waiting too long to evacuate and being trapped. We hope these safety tips will be useful. Advisory: There’s a potential flooding problem, stay tuned for more information. Watch: Prepare now for a possible evacuation. Warning: Take action! If the floodwaters haven’t reached you yet, they will shortly. Get to higher ground immediately. What you do in advance of an emergency is critical. Here are a few tips on how to prepare. Name a person who won’t be affected by the emergency to serve as the primary contact and name a meeting place in the event the family becomes separated. Put together an emergency kit. Even if you have one, make sure no items are missing or need replacing. Know your evacuation route. If possible, plan two evacuation routes. Register with the Advanced Hydrologic Prediction Service for RSS feeds of forecasts and other vital information. Listen to your weather radio. Get the family and pets ready to leave. Pack essential items, medications, food and water for humans and pets and vital documents: insurance policies, financial statements, must-have pictures and whatever you consider extremely important. Charge phones and other electronics you’re bringing with you. Don’t forget to bring your chargers with you. 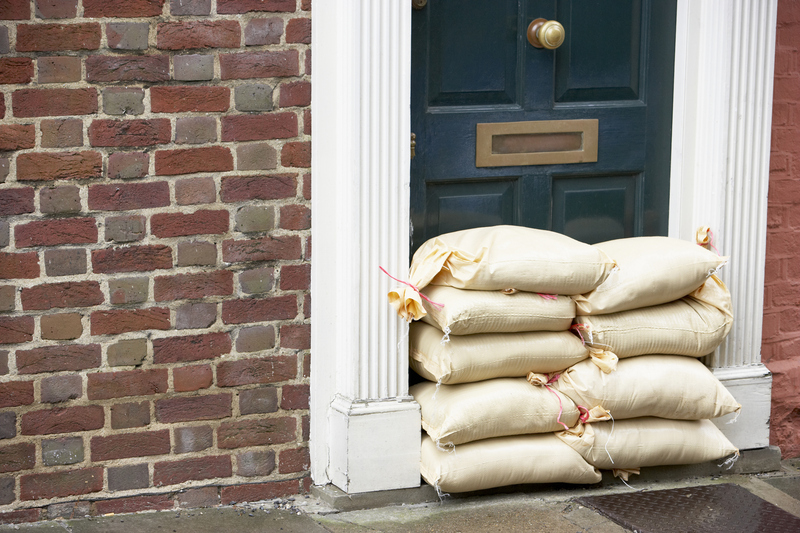 Filling sandbags is time-consuming but can offer valuable protection. Turn off all utilities before leaving. Installing check-valves in your plumbing ahead of time can prevent water from backing up into your drains. Ensure your sump pump works and consider a second pump. Driving through water is dangerous and never recommended, but in an emergency, you might have no alternative. The barricades were placed there for a reason. In the best case, you’d lose precious time when you reached the reason for the barricades, such as an impassable washout, and had to turn around. In the worst case, everyone in the car could suddenly be in a deadly situation. Take another route if the street is flooded. You don’t know how deep the water is, but only 12 inches of moving water could sweep your car away. Never drive through water if you spot downed power lines – water and electricity are a deadly combination. Try to figure out how deep the water is. Other cars could serve as a guide. Don’t speed or stop, drive slowly and steadily. Keep a constant watch for anything floating downstream that could smash into your car or trap you. Your engine could stall. You may need to try to start it again, but the engine could be irreparably damaged. 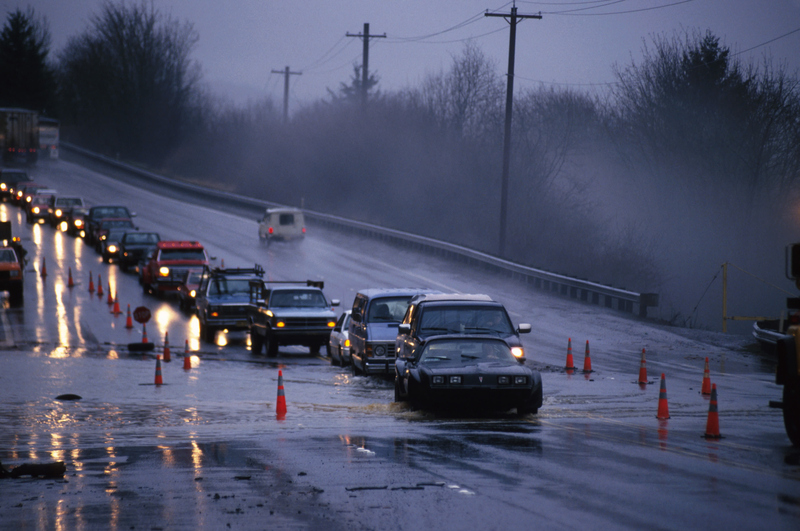 After driving through water, test your brakes as soon as you’re on dry road while driving slowly. If the car won’t stop as it should, you can try drying your wet brakes by pressing lightly on the brake pedal while maintaining your speed. If the water is rising, your car won’t start and you’re trapped, leave it immediately to reach higher ground. You may need to leave through the window. Call 911 and try to get the attention of anyone nearby. Most homeowner’s insurance policies don’t protect you against water damage. You need a separate policy. In the past, federal policies were often the only option, but Neptune is a private insurance company backed by one of the world’s largest markets. The use of advanced technology combined with insurance know-how can save you money on the coverage you need. Federal policies have a 30-day waiting period, but Neptune only has a 10-day waiting period. Contact Neptune today and buy flood insurance in 3 minutes. When the water is rising and you hear about “watches” or “warnings,” how worried should you be? What’s the difference between the two? How soon should you begin making preparations to safeguard your property or evacuate your family? Many people aren’t 100% sure of the best answers to those questions. Do You Have a Weather Radio? The National Weather Service (NWS) is responsible for alerting the public of dangerous weather conditions. You can enter your zip code or city for local weather information and learn about current conditions, hazards and forecasts. A weather radio would be indispensable in an emergency and should be included with your emergency supplies. The information you’d need to know about local weather conditions and potential dangers is broadcast 24 hours a day from your closest NWS office. Watches are frequently, but not always, issued before warnings. Flash floods, for example, can occur so quickly that there might not be time to warn anyone in the path of the rushing, fast-rising water. Normally, a “watch” means flooding is likely in your area, but it’s still possible it might not happen. You might get lucky and not be affected, but the odds aren’t in your favor. It’s time to make your emergency preparations. Every minute is precious. Use this time wisely to gather everything you’d want to bring if you evacuate and to do what you can to protect your home and belongings from water damage. When the National Weather Service issues a “warning,” flooding is already happening or will be very, very soon. It’s dangerous to wait around to see if the waters reach your home. It’s time to evacuate your home or business. If you wait too long, rising water could cover your evacuation route, leaving you and your family stranded. Trying to drive through moving water is very, very dangerous and the cause of many deaths. The water could be much deeper than you think it is, but even a foot or two of moving water can carry away a car. Slow-Onset: Days or weeks of rain can cause slow-rising floodwaters. It may take months for the waters to recede. Rapid-Onset: Heavy rainfall, especially in mountains or urban areas, can cause water to rise and recede very quickly. Flash floods are a possibility and are particularly dangerous. Any low-lying area such as an underpass, viaduct, parking garage, basement or road could be submerged very quickly. Tropical Storm or Hurricane: Storm surge, water pushed by strong winds, especially when combined with a rising tide, can be catastrophic. High-water levels have been recorded as high as 35 feet above normal levels. Extensive areas could be flooded. Water could rise quickly, in 4-8 hours. It may take a long time before the waters recede. Your Family: Talk to the family to ensure everyone knows what to expect and what they need to do. Primary Contact: Establish someone who’s not local, perhaps an out-of-state relative, as the primary contact for everyone to check in with. This is especially useful if someone becomes separated. Stay Informed: Listen to the TV or your weather radio for the latest updates. Prepare to Evacuate: Collect important legal, insurance and other papers, medications, pictures etc. and store in waterproof bags or containers. Check your Emergency Kit: Replace any supplies as needed. Well in advance of an emergency, review this list of emergency supplies and assemble your kit. Shelters: Find out where the local shelters are located. If you have pets, learn which shelters allow pets and any restrictions the shelter may have (pet carriers, pet size limits, etc.). FEMA publishes excellent preparedness information. Elevate: Raise critical utilities, such as electrical panels, appliances and heating systems. Move furniture, drapes, area rugs etc. to a higher level. Waterproof: Lay sandbags, waterproof your basement and make sure your sump pump is working. Any fuel tanks should be securely anchored. Clear Debris: Secure or move inside anything outside which could float and become a danger. A standard homeowner’s policy won’t protect you if you’re flooded. Don’t wait until the water’s at your door, because it will be too late. You can get a quote and buy flood insurance from Neptune in minutes. Save money and get the protection you need today. There’s no such thing as a good disaster, but at least most floods give you a little warning. Floods are unpredictable. FEMA’s National Flood Insurance Program saw an estimated $9.5 billion in flood losses in 2017, but the true losses are probably much higher. Regardless of the projections, the flood might arrive at your front door either sooner or later than anticipated. Plan on “sooner” and take advantage of every possible minute to prepare for your home flooding, especially if you and your family will have to evacuate. Keeping everyone safe is always the top priority. Whether you plan on evacuating or not, ensure all your important items (insurance policies, birth certificates, deeds, health records, family photos, medications etc.) are safely protected in waterproof bags or containers. If you don’t have a household inventory, take detailed pictures of every room, including open drawers and cabinets. Upload the photos to cloud storage or attach them to emails sent to yourself or a friend. In the event of a sudden evacuation, have water, food (including pet food), clothing, jewelry, phone chargers and other important personal belongings packed and ready to go. Know your evacuation route and make sure everyone knows your contact plan in case you’re separated. Make sure your car has a full gas tank and runs well. In the event you can’t evacuate, and the flood rises higher than expected, you might have to retreat into the attic. Don’t let yourself be trapped. Bring a sledgehammer or other tool that would let you break through and get onto the roof. Install sump pumps that can run either connected to your home power supply/generator or on batteries. Plug any drains in your basement floor. This prevents sewage backup. It will also help prevent water being removed so rapidly that the basement walls or floor are damaged from greater external water pressure. As unpleasant as the thought is, letting floodwater fill the basement could prevent structural damage to the floor and walls. Before the flood, consider getting advice from a county or city engineer. Basement windows will break from water pressure. If home flooding is expected shortly, open or remove the windows. Expect local authorities to recommend shutting off gas, electricity and water. Be sure you aren’t standing in water when shutting off electric power. If you expect floodwater to approach the electrical entrance panel, call your electric company to disconnect the home’s electricity. Prepare for home flooding by moving furniture and other belongings at least 12″ higher than the expected flood level. Bring outdoor furniture in if possible. An unsecured fuel tank is potentially very dangerous. During home flooding, the tank could tip over or float, spilling fuel that could possibly ignite. Spilled fuel is very expensive and extremely difficult, perhaps impossible, to remove from a flooded house. Anchor fuel tanks securely to floor, ensuring all vents and fill line openings are either higher than the expected flood level or sealed. All your expensive appliances, such as the fridge, freezer, washer, dryer and others have electric motors and other components vulnerable to floodwater damage. Shut them off at the breaker panel or fuse box. If they can’t be moved higher, wrap them in large pieces of plastic, tying tightly in place. This won’t keep water out but will keep most of the silt out. Cleanup will be easier. Shut off power and move furnace higher if possible. Unless your air conditioner tech advises otherwise, leave the unit in place. Freon in the unit could create a health hazard if moved inside unless moved by an a/c technician. Wrapping both inside and outside components in plastic will help reduce silt accumulation. Shut off gas, electricity and water before moving water heater to a spot where it will be above the home flooding. Pressed wood, carpets and drywall will all absorb water, may well be irreparably damaged and will be harder to remove when waterlogged. Solid wood and stone can tolerate a certain degree of home flooding. Neptune Flood uses the same space age technology as NASA and the U.S. government to generate today’s most accurate digital land surveys. These super-accurate flood zone maps, combined with advanced technology, could save you money, up to 25%, on flood insurance. Not only that, Neptune’s technology means you can buy flood insurance in 3 minutes or less. Don’t wait too long to protect your home with flood insurance. Most insurers require a 30-day waiting period for your new flood insurance. Neptune Flood offers a reduced 10 day waiting period, a definite advantage if you’re nervously watching the weather reports. Neptune Flood also offers higher limits of coverage. Learn more about flood insurance and get a quote from Neptune Flood today. Flash Flood: What is it? Most people have been lucky enough to only experience flash floods in the movies. A thundering wall of water comes crashing down the canyon, carrying uprooted trees in the floodwaters and drowning cattle and horses. Cowboys desperately try to climb the canyon walls. Some may be swept up by the raging water. That’s the stereotypical image of a flash flood. The reality is far more frightening. A flash flood is considered the most dangerous type of flood because of how quickly the waters rise and how unpredictable these floods are. Technically, a flash flood peaks in less than six hours, but the water could rise much quicker. Flash flood warnings are normally issued, but not everyone will be aware of the impending danger. At times, there’s no warning before the flood strikes. People are trapped in their cars, swept away by the rushing waters. People in buildings or on foot may not be able to get high enough, fast enough. After the flood, the scope of the damage to humans, animals and property can be catastrophic. What Causes a Flash Flood? Heavy rain on soil that is too saturated to absorb more water or heavy rain on dry soil that cannot absorb much water are deadly combinations. Flash flooding is a well-known danger in desert regions after a heavy thunderstorm dumps a lot of water on very dry land. Whether the soil is water-logged or very dry, the runoff, or water that can’t be absorbed by the soil, follows the topography of the land, collecting in streams and gullies. These streams/gullies flow very fast, rapidly grow in volume, collect debris and present a very real danger to anyone or anything in the flood’s path. When spring finally arrives, snow and ice dams melt high in the mountains. Trickles of water merge, forming ever-larger streams. If a thunderstorm adds torrential rain, you could suddenly be facing a flash flood. Flooding and hurricanes have become linked in the minds of most Americans. While people fear the 100 mph or more winds, water causes far more damage. When the conditions are right, flash flooding can occur as well as more slowly-rising flood waters. Two of Iceland’s most popular tourist attractions are volcanoes and glaciers. Not many spots in the world have both. It’s certainly not an everyday event (or a problem that will rate very high on your worry list unless you plan on living near an active volcano in Iceland), but a volcanic eruption can melt a glacier, causing unexpected flash flooding. In 1975, the Banqiao Reservoir Dam in China suffered catastrophic failure during Typhoon Nina, suddenly releasing a terrifying wall of water. About 171,000 people died, the highest number of deaths ever recorded from a dam failure and flash flood; 11 million people were left homeless. The worst flash flood in the U.S. was the Johnstown Flood of 1889. An exclusive hunting club restored an abandoned earthen dam to create a lake. Complaints about the unsafe dam from the citizens of Johnstown, 14 miles downstream from the dam, were ignored. After several days of extremely heavy rain, the dam failed. An estimated 20 million tons of water and debris, including rail cars, houses and trees, raced toward the city, flattening everything in its path. More than 2,200 people died. Floodwaters that would be absorbed by the soil in the country can turn deadly in the city. Roads become fast-flowing rivers. Get out of the area as quickly as possible, but don’t try to cross the flooded road. An SUV can be carried away by as little as 2 feet of water. Over half of the deaths from flash flooding occur when overconfident drivers try to cross a flooded intersection. They underestimate the incredible power of fast-moving water. Many people wish they had flood insurance, but don’t think it’s affordable. In 2016, Neptune Flood took a new approach to this problem, merging advanced technology with insurance expertise. The result? Innovative and affordable flood insurance that can save you up to 25% for the same coverage you’d get with the NFIP. 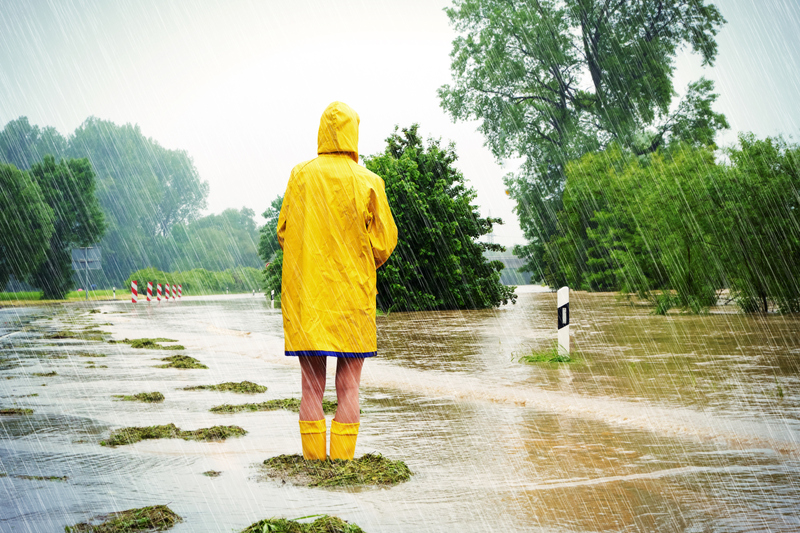 If a flash flood is headed your way, it’s too late to buy flood insurance from anyone. In fact, the NFIP requires a 30-day waiting period for new policies. Neptune Flood offers a better alternative, having only a 10-day waiting period. Not only that, but Neptune Flood covers more of your valuable assets. Visit Neptune’s intuitive, on-demand platform and look for yourself. Save money for the flood protection you need. You never know when the next flood is coming. Did you know that floods are the most costly and common natural hazard in the U.S.? There have always been terrible floods, but the flooding after Hurricane Katrina was unbelievable. About 800,000 homes were damaged or destroyed. While many homes were insured against wind damage, far fewer were insured against flooding, the primary cause of the extensive damage. How many insurance claims were paid after Katrina? 167,985 – that’s it. Less than one homeowner in four had insurance coverage for their losses. If those people could turn back the clock and buy flood insurance, do you think they would? There are quite a few misconceptions about insuring against floods. A homeowners policy will cover water damage from a broken pipe inside the house. However, when the source of the water is outside the house, such as a storm or river, you aren’t covered. You need a separate flood insurance policy. Lenders require homeowners living in an area at a high risk of flooding to buy flood insurance. However, every year, about 25% of all flood losses happen to people who don’t live in high risk flood zones. The picture of a devastated homeowner saying, “But this never happened before!” is all too familiar. A “100-year flood” might happen twice in three years. Storms and floods follow no schedule but their own. Occasionally, a new homeowner will think they can wait to buy insurance against flooding until they learn a hurricane is heading their way. After all, they may have two weeks warning of a hurricane, so they can get a flood policy then. However, there is typically a 30-day waiting period on new flood policies issued during hurricane season. That means you wouldn’t have any coverage for the first month after getting the policy. You’d have to pay for all damages yourself. The government does step in and provide some disaster relief, but it’s a mistake to consider that a substitute for flood insurance. Government assistance may be difficult to get and take quite a while to process. Also, it will only cover a fraction of what you would have received under a private insurance policy. You get no disaster relief unless the government declares a “disaster.” That only happens in 50% of floods, meaning there is a 50% chance you won’t qualify for any government aid. Neptune Flood uses advanced technology to make private flood insurance affordable. The innovative, on-demand platform makes it easy. Neptune offers increased benefits and acceptance by mortgage lenders. Neptune is backed by one of the world’s largest insurance markets. Don’t put your financial future at risk. 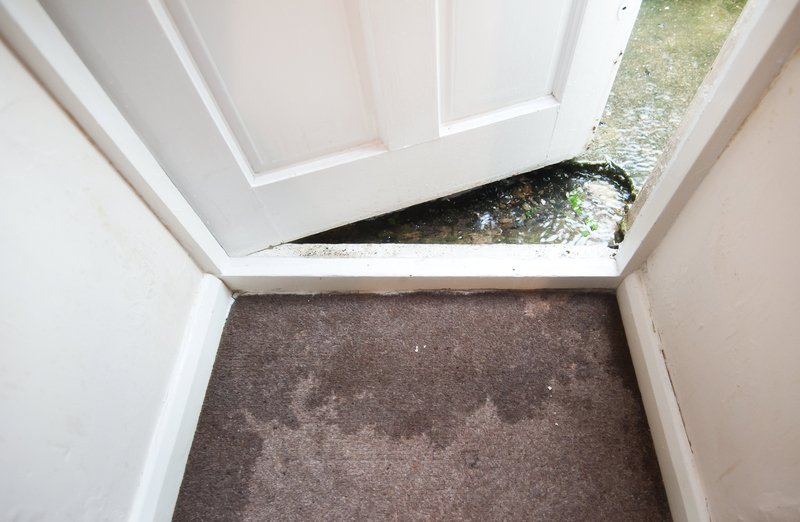 Protecting your home and belongings from flood damage is a safeguard against a loss you can’t afford. Neptune Flood offers the flood coverage you need at a price you can afford. Seriously...our technology will save you as much as 25% on your insurance!